Have you always wanted to go on a cruise? Let go of your inhibitions and give it a try now! It is an experience that you will not regret, you just need to decide which specific cruise liner will best suit your needs. To guarantee an unforgettable experience, below are five of the best ships that we can highly-recommend. There are also people who don’t like going on a cruise because there are too many people. If such is the case, this ship is going to be an excellent choice. It is smaller than some of the really large ships, and therefore, not so many people. 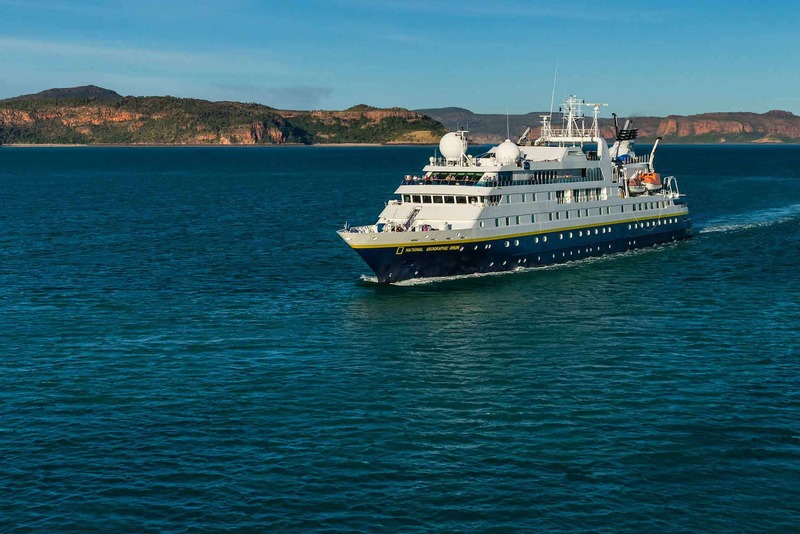 Whether you would like to go to the Amazon or Antarctica, this cruise liner will take you there. You can go snorkelling and kayaking, among other activities. Do not be fooled with the name. The ship isn’t that serious after all. You will definitely have a lot of fun. Most people think that cruises can be boring. They do not have a nightlife as vibrant as your favourite city. At Norwegian Breakaway, on the other hand, it is a different case. Even after dark, there are plenty of activities that you can enjoy while aboard the ship. In fact, many say that it is comparable to the vibrant scene in Times Square. There are bands, endless dancing, and entertaining shows. There is even fireworks display. If you are often concerned that your nights will be dull, this makes the best choice for your first cruise. When you speak of cruises, Carnival is one of the names that will always be mentioned. The cruise is known for providing their guests with a crazy experience without punching holes in their wallet. They are one of the most reliable and they have budget-friendly prices, making it ideal for those who are not yet ready to splurge on their first cruise. To get the best deals, use a comparison site like Cruise Sale Finder. With exciting destinations like the Bahamas and Mexico, you can’t go wrong. Do you fear going on a cruise because you don’t want to see the same thing every day? This cruise ship is going to resolve this problem. It is the largest cruise ship in the world. This is perfect for first-timers because it is going to give you the guarantee that everything that you need is there. Be warned. This can give you high expectations on your next cruises. The whole vessel is almost like a small town. It even comes with its own ice skating rink. If you are thinking of going on a family cruise, this blog provides an insight into what you can expect. This is the perfect first-timer choice if you are traveling with kids. More often than not, families will most probably be concerned about how to keep their kids entertained during the trip. At Disney Fantasy, they will not be throwing tantrums as there are lots of attractions that they can enjoy. This is a floating extension of the popular theme park, making it one of the most family-friendly cruises. Disney characters will frequently pop up just out of nowhere. Disney movies are also being played everywhere. Click here to see some pictures and to get more information about the Disney Fantasy.